The world is fluid and sensual as the fragrance created for "Blue Lady" : a world in blue, a reference of the freshness of the scent. 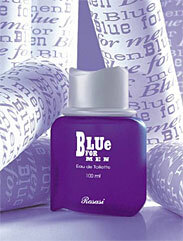 The Rasasi Blue Lady bottle's silhouette is suggestive of the woman on the advertising. The Rasasi Blue Lady perfume's sensuality dances across the skin with rich notes of succulent peach, attractive plum and delicious apple. The heart note makes "Rasasi Blue Lady" more intense; a fusion of luxuriant jasmine, bewitching tuberose and deep ylang. The soul of the Rasasi Blue Lady's fragrance generates deep vibrations of precious woods, Mysore sandalwood and cedarwood, and ambery scents; an irresistible long lasting trail. The ultimate refinement for sophisticated women. Cheerful, classic and evoking a youthful feeling of "Joy of life". The blue colour theme expresses a sensual boldness. The fragrance is bottles in a gracefully curved blue glass bottle with a golden collar accentuated with a light blue ribbon. The clear cap resembles a lady's hat, while the classy blue box features a lady' shape in a contrasting white colour. Exotic, Masculine Eau De Toilette This true masculine classic opens with sparkling top notes composed of an invigorating blend of Mint essence combined with fresh coriander and Mandarine extracts making the scent utmost trendy and extremely comfortable to wear. The heart notes are created around a masculine combination of aromatic notes such as Black pepper, Geranium, Ginger rounded by a subtle touch of Rose and Jasmine. Cardamom and Italian Bergamot stand out unmistakably. The warm sensuality of the base assembled on precious wood extracts such as Sandalwood, Cedar and French Oak Moss is strengthened by rich notes of Amber and Musk providing a long-lasting presence on skin. It is bottled in frosted blue glass. The solid and smooth angles of the bottle shape and a silver metallic cap in the shape of a hat portray the traits of a gentleman. The box is in a complementary combination of blue and silver colours and the main feature is the design of a hat. The branding is in blue on the silver background. 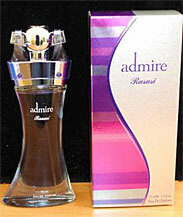 ADMIRE, 75ml is admired by a new definition of contemporary fragrance. Admire is stylish chic without being audacious. Crested on the belief that fusion trends always pass by but remains unchanged. Admire highlights that luxury is as spiritual a need as love. Luxury is when the inside is as beautiful as the outside. The fragrance defines femininity at its best, with its curvaceous modern bottle design that is a visual pleasure, combining into a pleasure for the senses, and an unforgettable experience of using a high class fragrance. Wear the fragrance, be the one who invites others to notice and admire. A warm, rich and sensual fragrance that captures the different facets of a woman's emotion. The delicate and fluid shaped bottle conveys the femininity of the product. The bottle is topped with a dark green cap trimmed with a gold ringlet at its base. The box is in a unique light green material and is intended to capture the essence of a blossoming flower bud. 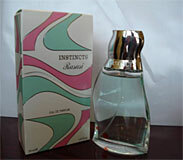 A very feminine and elegant high fashion perfume for personal pleasure. 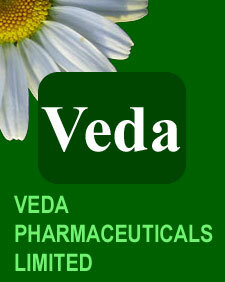 A very rich floral bouquet where the blending of different flowers gives a very harmonious and sensuous fragrance. The slightly Iris-Woody note announces a very voluptuous complex. Exotic,Oriental, Feminine. A free spirit, the Instincts woman aspires to be swept away and acts on impulse. Authentic, open-minded , captivating, a bit wild, she'll try anything once and she knows how to take advantage of the surprises life can offer! A perfect balance among the lush natural ingredients that make a marvelously feminine perfume. 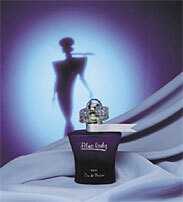 The top notes are composed of Jamaican pepper and purple freesia accords. In the middle, white heliotrope and jasmine accords go beautifully with hibiscus blossom and Bulgarian rose and amber. At the base Himalayan cedar wood accords blends with incense. The early showers of spring have gently moistened. The hushed breadth of a soft breeze has tenderly caressed. It is time for the blossoming of feminity. An awakening of sense - a discovery of Feelings. The rising temp of sensuality begins to pulsate. With feelings so whimsical that they lend you wings. With feelings so mischievous that they make you scintillate. With feelings so volatile that they storm your being. With feelings so exciting that they set you aglow. The early showers of spring have gently moistened. The hushed breadth of a soft breeze has tenderly caressed. 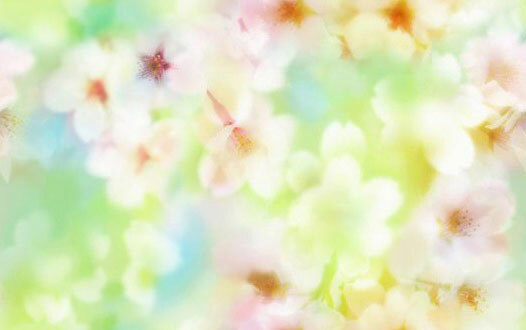 It is time for the blossoming of feminity. An awakening of senses - a discovery of feelings. The rising tempo of sensuality begins to pulsate, with feelings so whimsical that they lend you wings, with feelings so mischievous that they make you scintillate, with feelings so volatile that they storm your being, with feelings so exiting that they set you aglow. The blue theme of the packaging is very modern. 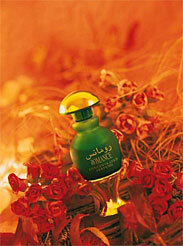 The transparency of the Rasasi Romance Perfume bottle brings purity and freshness to the product. The Romance Perfume has a vibrating top note brought by French Lavender, Clary Sage, Basil & Moroccan Top Aromatic Warm wood surrounded by freshness of Italian Note Fresh Lemon, Bergamot & Petit grain from Paraguay. French Cypress adds some warmness to this complex. The middle note of Romance for Men is slightly spicy with a touch of Leathery Indonesian Nutmeg & Spanish Cistus. The rich Italian Oris from Florence followed by Ambery South American Mate absolute announce, the Bottom Note of Rasasi Romance for Men is build on a very substantive woody, Bittery accord of Indonesian Patchouly & Indian Sandalwood, which gives to this perfume an Everlasting tenacity. 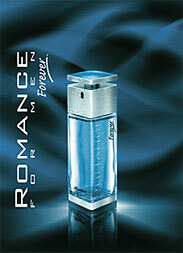 Rasasi Romance Perfume's fragrance can make a huge difference to the way you carry off your dress. Romance Rasasi, for much needed sheen to a shinning woman who loves, enjoys life and is full of fun. Like a sumptuous veil, Romance fragrance enhances woman's beauty through a rich bouquet of flowers and fruits harmoniously blended with precious woods and musk. Rasasi Romance Perfume is an incredible performer. The fragrance of my Prince embraced me gently. The heart of the fragrance is aromatic and spicy, thanks to the presence of Clary sage and resin notes... The base blends warm notes of exotic woods, Rose and Musk.